AB Walls is a comprehensive design tool to output professional quality construction drawings and technical support data. Before you can install a copy of AB Walls Design Software you must have the following minimum sytem requirements. 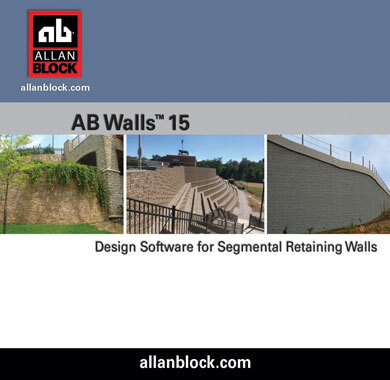 Need a Copy of AB Walls Design Software? An internet connection is required to successfully install and update AB Walls. AB Walls Version 10.0.0 must be updated to the current working version prior to any wall design. The current user should have administrative privileges in order to install AB Walls and the necessary components. Note that AB Walls will be installed under the user’s profile and is not a shared program. If multiple users use this computer, it will need to be installed on each user’s account. It is recommended against installing it on an administrator’s account unless that administrator is the intended user. AB Walls uses some of the latest programming technologies; it is highly recommended that all of the "Recommended" Windows updates are installed. To see if you have all your updates, go to: Microsoft Update Page and click on the Express option to view all the recommended updates. Please note that some updates have additional updates, it is advised to double check this site after any critical updates are installed. Windows XP Service Pack 3 (SP3) is required prior to installing Microsoft .NET Framework 3.5 SP1, a prerequisite to using AB Walls. If necessary, the .NET Framework will automatically download from Microsoft during the installation of AB Walls. While installing AB Walls, if you encounter an error noting that GAC 3.5.0.0 must be installed first, that is a signal that the Windows XP SP3 (a Windows recommended update) has not been installed. AB Walls version 10.1.0 has resolved the graphic limitations of Microsoft Internet Explorer by using Adobe Reader to view the graphics within the software. See printing notes below for additional information. Adobe Reader 8.0 or higher.